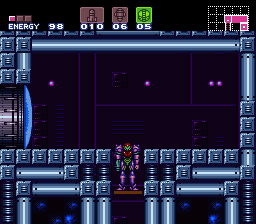 SNES Super Metroid (JPN/USA) in 47:50.93 by Terimakasih. Due to how the game tracks time, the in-game completion time is 30 minutes (2 minutes better than the previous version). Items collected: 27% (1% more than the previous version). Note: This video skips the intro sequence using a save slot. That shortens the movie file by about 2 minutes, but it has no effect to the completion time reported by the game.